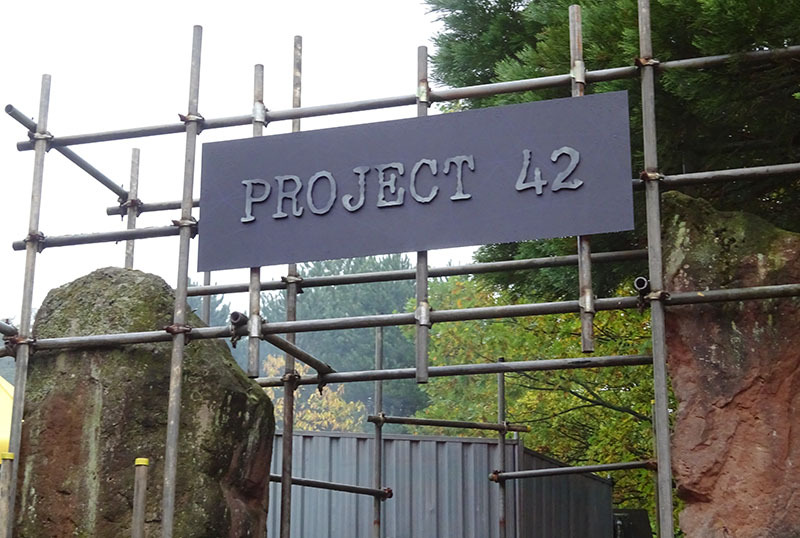 Project 42, the new scare maze for 2018, invites guests to enter the underground compound run by the Phalanx. Work on Project 42 has been going on inside but the project has become a catastrophic failure, leaving human test subjects infected with a mutating virus and lurking within the darkened passageways. Volunteers have been called up to venture inside to locate a technician working on a vaccination. Will they make it back outside without becoming infected and turning into a mutant themselves? The new maze, which Alton Towers announced on 12 July 2018, is located on the site of the former Nemesis Sub-Terra drop ride. Construction began around that time to convert the Phalanx's Nemesis research site into the brand new scare maze. Although Forbidden Valley has been used in past years for scare zones, this is the first time a headlining Scarefest scare maze attraction has been located in the area. 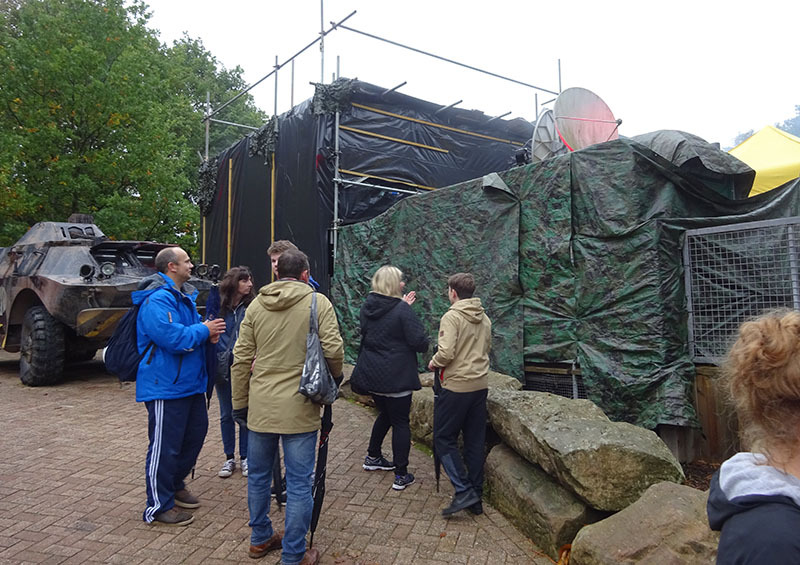 The maze utilises some of Sub-Terra's queueline which has been covered over by army tents, before continuing within the former ride building. The start is promising, with a video introduction telling guests about the rescue they must undertake. However, after the promising setup, the rest of the maze is very weak. Although there's some nicely themed rooms, they fail to come together as a whole and the story is never really continued. Part of the route goes into Sub-Terra's main ride chamber complete with Nemesis egg, although why this is there is never explained. Project 42 is very short, and doesn't have any real conclusion. Nothing more is mentioned of the technician we were supposed to be rescuing, or whether our mission was successful. It is by far the worst of Alton's current lineup of scare mazes, and seems to have suffered a curse similar to Nemesis Sub-Terra.